... and more great kits! Very nice guys and good progresses as well! Thomas, that is a nice kit. My decals came today for VF17 on the Bunker Hill. Just need to go to the post office and retrieve them. I finally cleaned, applied future to the canopy and attached onto the fuselage. Now to dry then tape off the windscreen for paint. The photo shows the Otaki F4U1 (middle) that is my entry for “Jolly Rogers”. 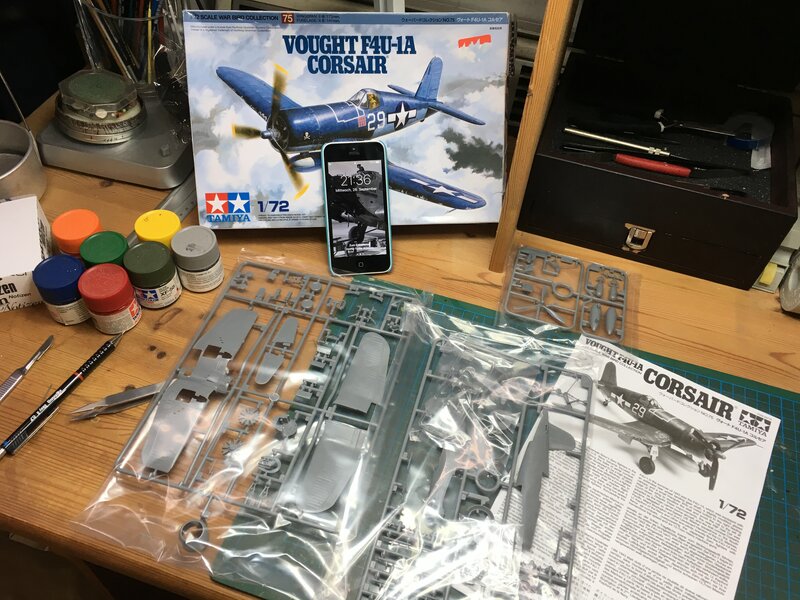 The F4U1 Otaki kit on the right I wish to finish along with the first, the Hobby Craft F4U1A on the left was to complete the decal sheet usage with all (3) a/c from VF-17. The Hobby Craft kit has turned into a real exercise in patience and engineering to keep from tossing it into the trash can. This is a nice bunch of kits here. I will ad one more Corsair (It is just like Spitfires, you can´t have enough). 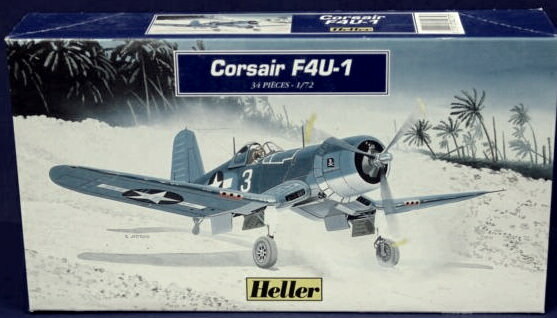 It will be the Tamiya kit F4U-1A in 1/72 scale. Working place has been enhanced with some wiring and plastic card (What is not really necessary. 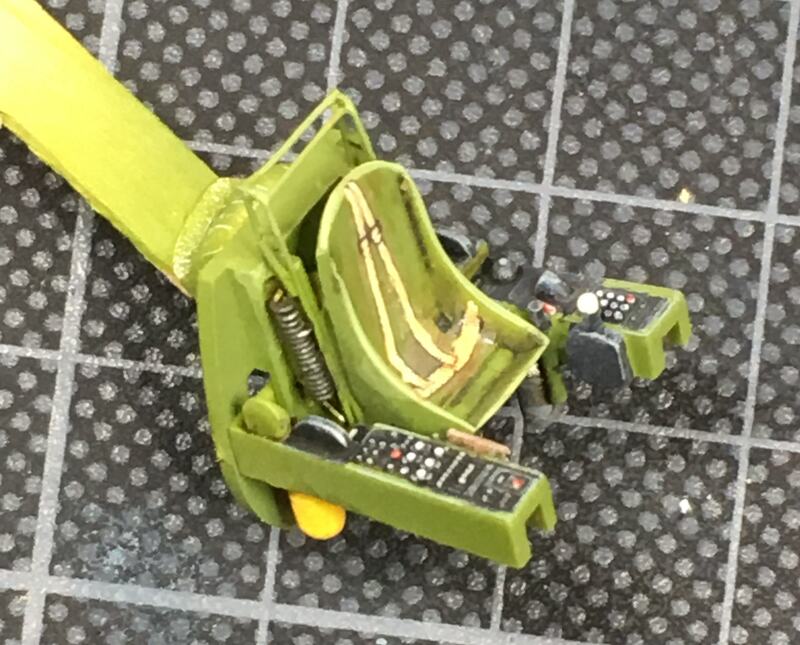 The detail of the cockpit is great in this kit). By the way, does anybody know what the correct color of the landing grear struts is. 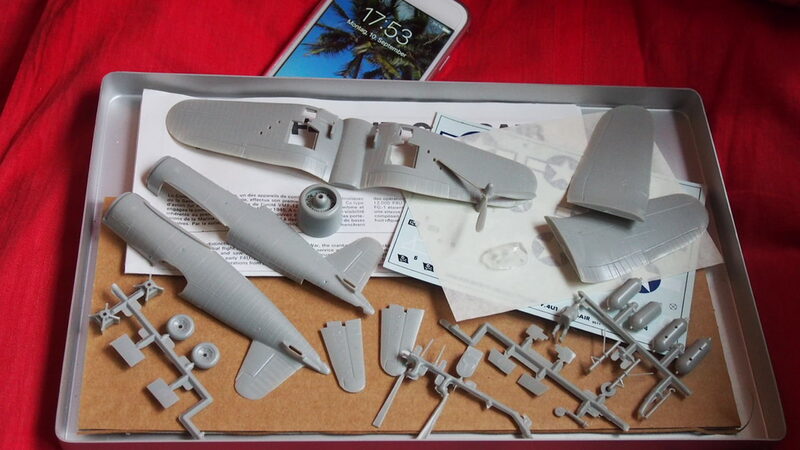 I read about grey or silver, but most modelers paint it white. 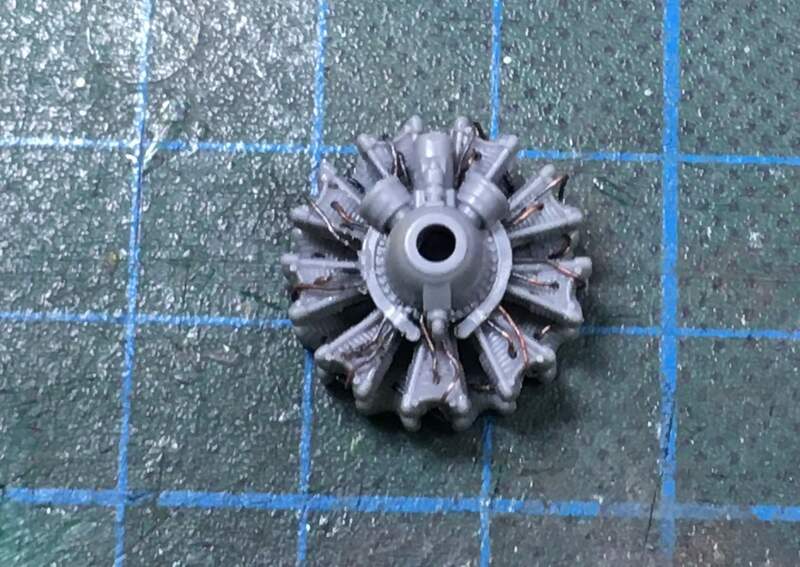 I am just hoping, something will be visible after the assembly. 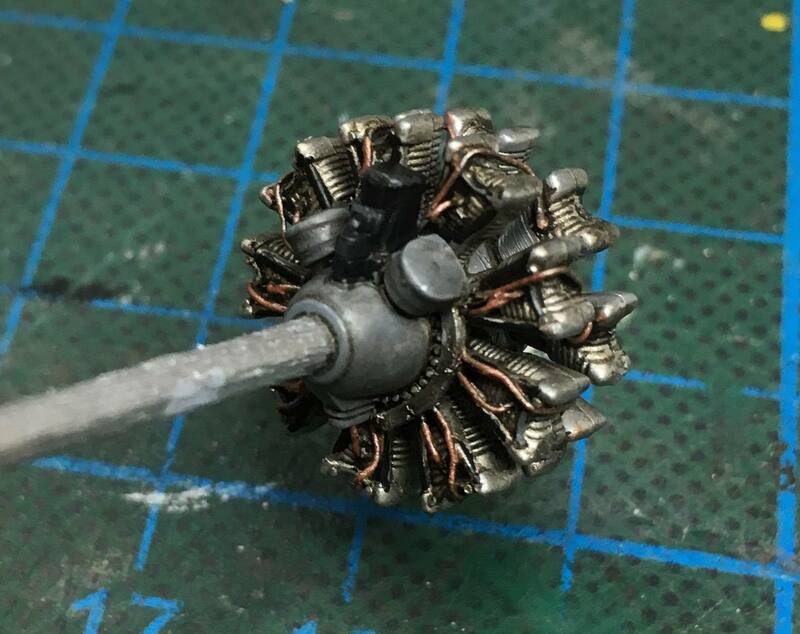 Wow, you did all of that plumbing on a 1/70tooth engine? You da man! awesome work! Sure is nice to see. very nice and great kits guys . 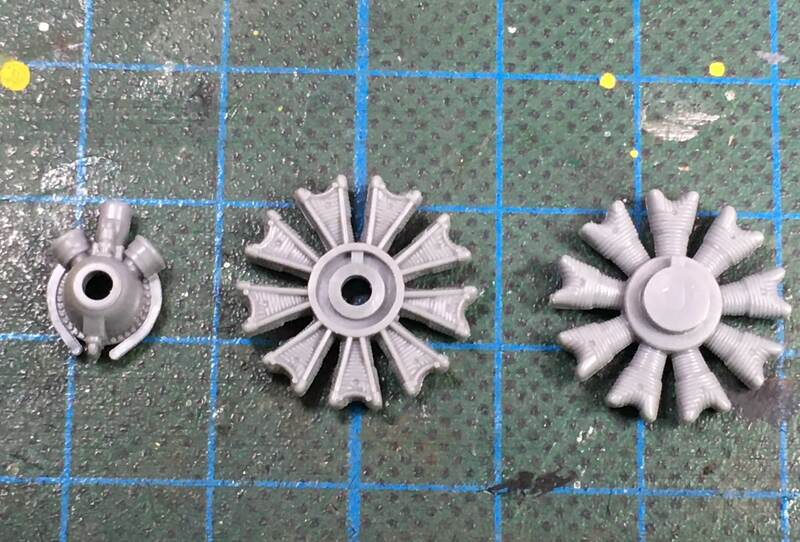 By the addition of Aires resin kit, a bit of 'plastic surgery' needs to be done. 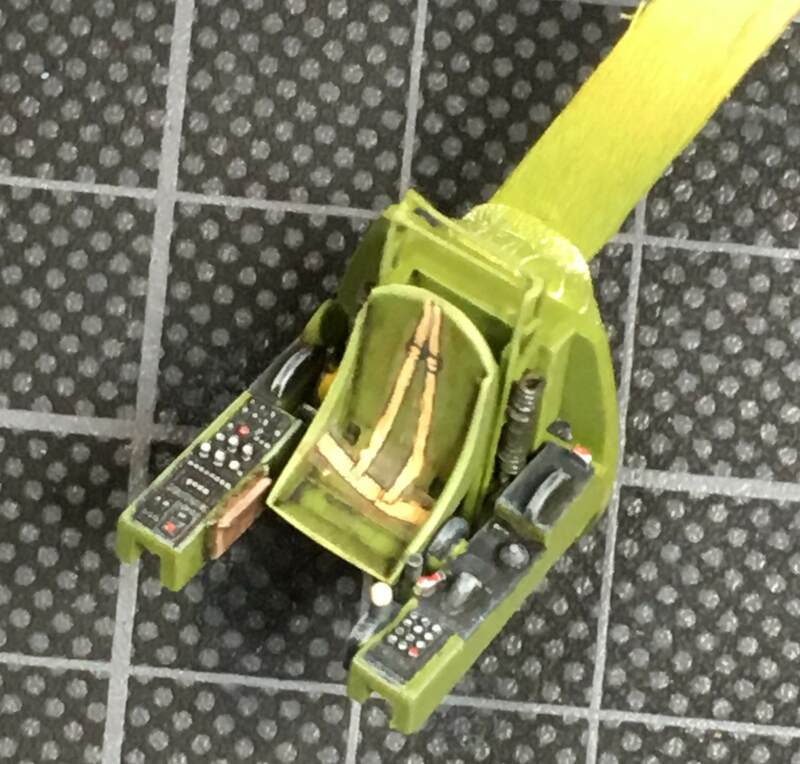 Cockpit done, ready to move onto fuselage and wing assembly. 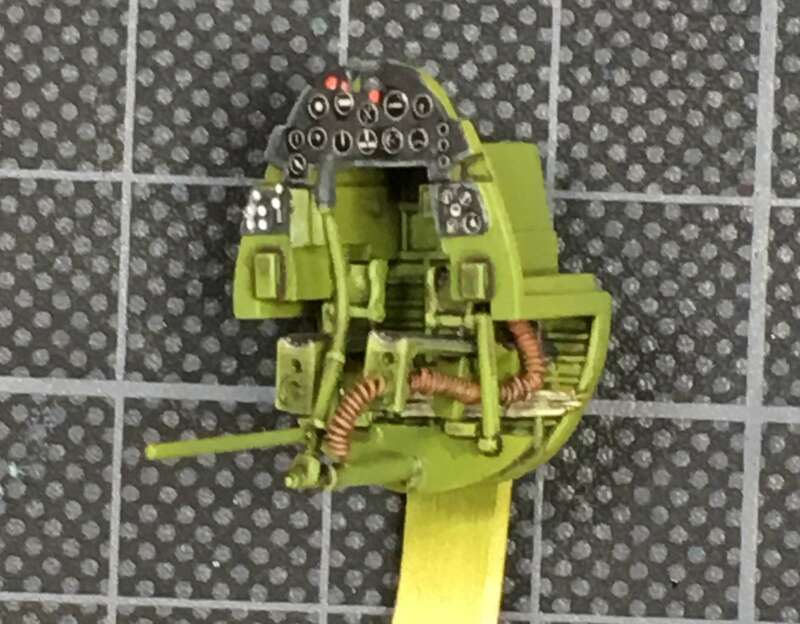 Hey, FWIW, I picked up a junker Testors 1/72 F4U-1. The kit was junk before someone painted it with glue, there's an OK set of Jolly Roger markings. I mean, they're Testors (Scale Master? ), undamaged, no yellowing, no damage. Decals free to a good home. Mark and Jeff: Thank You for Your comments. Thomas: The wheel wells and the seamless intake look great. Nice improvement. Brian. Outstanding detail in this little area! The detail level is eyecatching! Very nice work so far everyone! 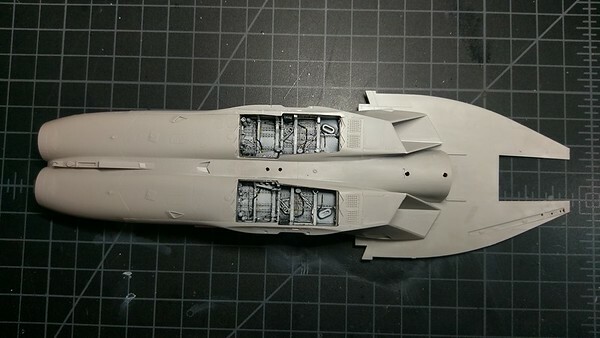 I'll be getting back to the Tamiya F-14 soon, just have to finish up a couple of other projects. Soo much nice work here! Great job guys! Oliver, nice kit and beautiful work on the pit and the great looking engine! I can imagine that wiring procedure. Keep on with it! 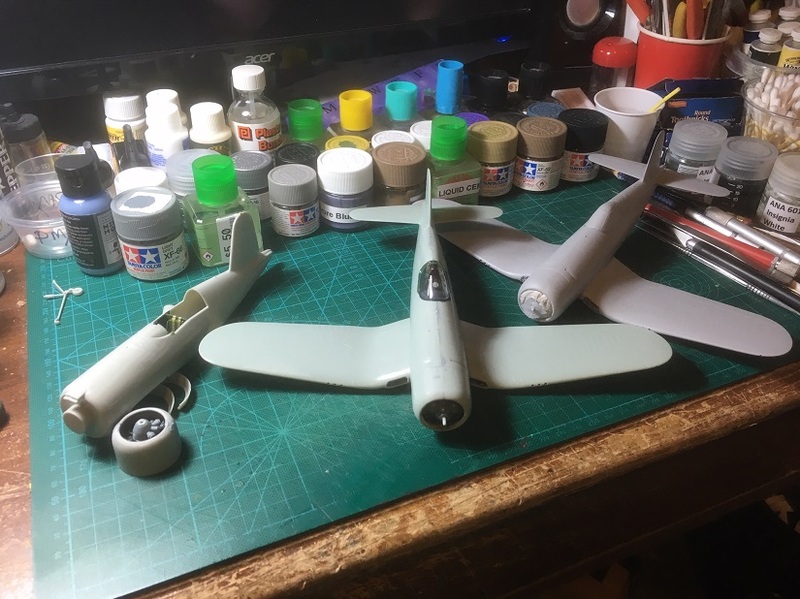 Think I can't go on with the F4U as I sacrificed the decals to my T'Bold build. And Heller's kit is not worth to find/buy new US marking decals. It's more than basic; no cockpit-just a rough pilot in a kind'a chair, a molded very basic engine inside the cowling, raised rivets over all, lack of details and so on. Maybe a piece for e dio with a chrashed one (could be on my list). So sorry, I think I'm so far out of this campaign. probably I have some leftover decals in my stash. Tell me what size you need and I will send them to You. 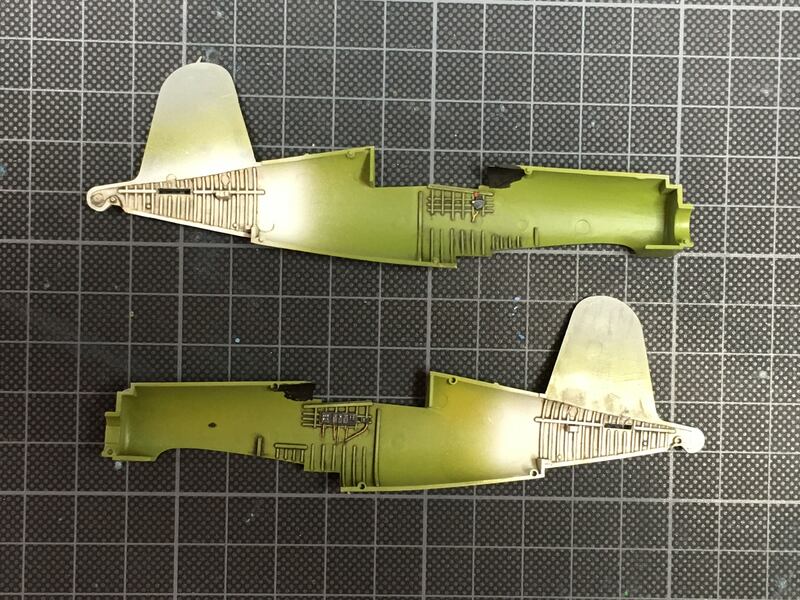 Thomas, If you can't get the decals locally, I have a set of 1/72 F4U-1 decals from Testors for the trashed kit I mentioned above. They're yours if you send me your address. I really can't appreciate your offers enough!! But for sure, the kit isn't worth that inconvenient efforts. Some kits of those aerea ain't worth a Penny/Cent - this is one you cannot recomend. Last Heller's Mirage build was challenging enough. Hasn't this long been debunked as a myth? Thomas, seriously, it's not a problem. I picked up the kit at a thrift store, as you can see the model is trash, I might not even be able to use it to practice painting. 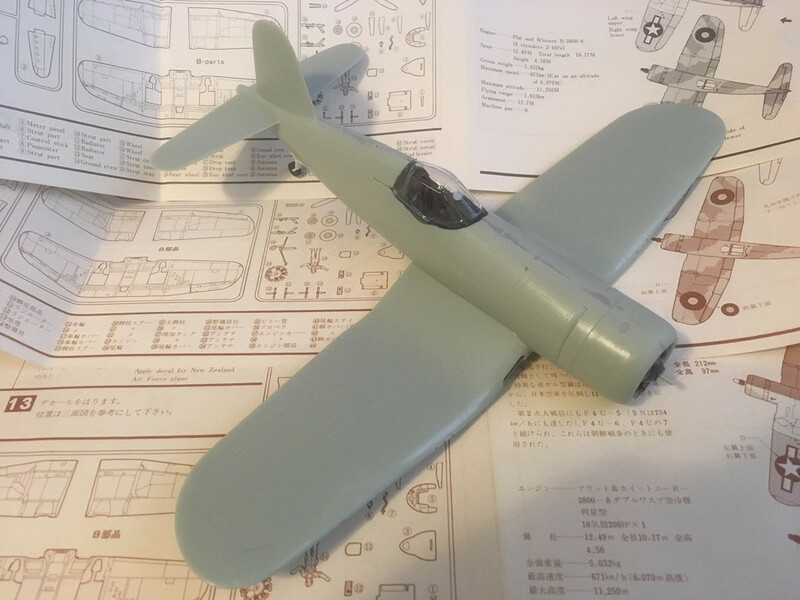 The decals look OK, I think the kit builds out into 3 different markings, including Pappy Boyingon. But so far all of my Corsairs have good decals. Official start photo of my build. As this is a quite monumental model it is about to start it, if it has to be finished within a campaign. This plane and this particular marking don't need a long introduction - Grumman F-14A in classic VF-84 in 1979 classic livery of CAG Bird. recently I made a trip to Singapore for a few days and then on to Kuala Lumpur for the wedding of my son. These are two great kits. I am looking forward to Your buils! Mark: You are absolutely right. 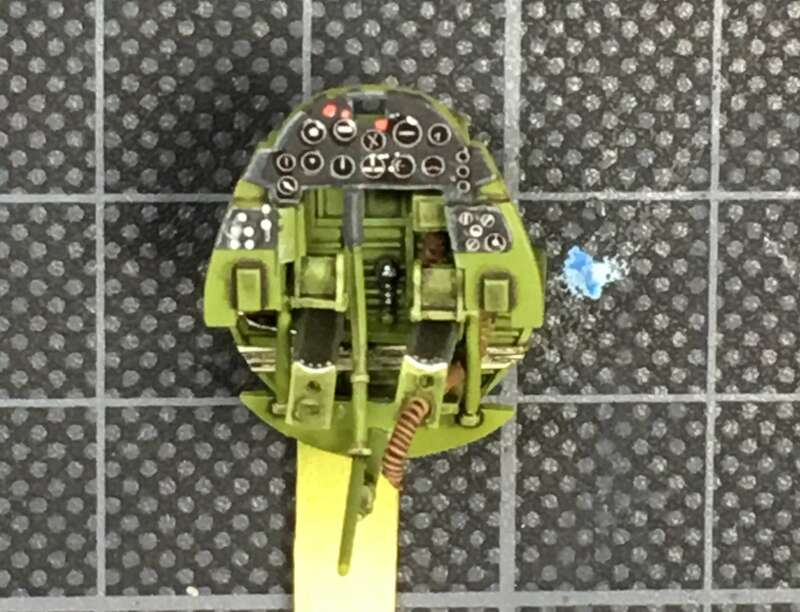 Someone painted the Corsair with glue. Yes, painted indeed. The box had a Testor's glue pen, kind of like their paint pens. I assume that they used that to try and glue this kit together. It's a really wide tip, and by time I got it it was leaking, so the state of the kit seems reasonable. Not that the plastic that was in the box is worth what Testors / Michael's wants for this dud. The tool is so old, there is no cockpit, the sidewalls just extend to the midline. 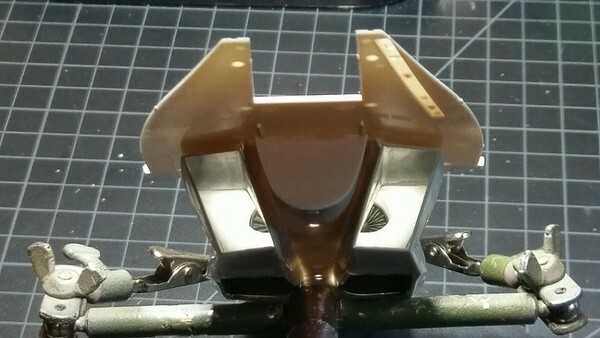 There's just a pilot's head to go under the glass to finish the kit.